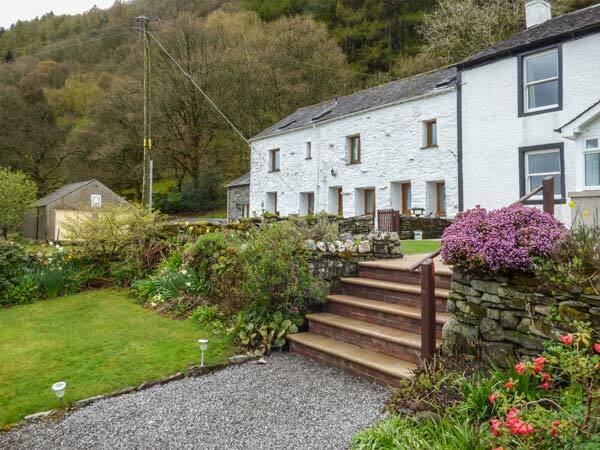 Bramble Cottage is a lovely mid-terrace property situated in the village of Thornthwaite just four miles from Keswick in the Lake District. All ground floor, the cottage can sleep five people and has two double bedrooms and one single together with a family bathroom and shower room. Also in the cottage is a kitchen, sitting room with dining area and separate sitting room. Outside is off road parking for two cars and a front patio with furniture. 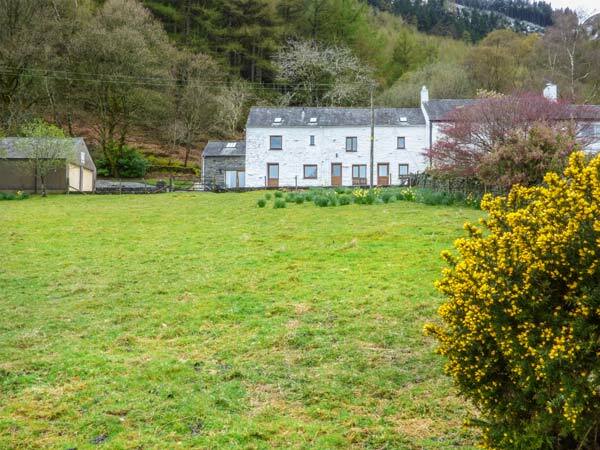 Bramble Cottage is a delightful cottage with stunning views towards the mountains. All ground floor. Three bedrooms: 2 x double, 1 x single. Bathroom with bath, shower over, basin and WC. Shower room with shower, basin and WC. Kitchen. Sitting room with dining area. Second sitting room/snug. Gas central heating. Electric oven and hob, microwave, fridge, washing machine, TV with Freeview, DVD, WiFi, selection of DVDs. Fuel and power inc. in rent. Bed linen and towels inc. in rent. Off road parking for 2 cars. Lockable bike storage. Front patio with furniture. One well-behaved pet welcome. Sorry, no smoking. Shop and pub 2 miles. Note: WiFi suitable for browsing only. Note: Internal step up into bedrooms and bathroom and step down into bedrooms.